Funds research towards a cure for ALS and supports provincial ALS Societies to provide quality care for those affected by ALS. Provides arthritis education and information, patient care and support, and funding for arthritis research. ANC provides the full range of settlement services to newcomers with disabilities, and also refers clients to other community services if appropriate. Their offices are wheelchair accessible. Strives to improve the lives of individuals with "Autism Spectrum Disorder" and their families. Advocates for the needs of all persons affected with a brain injury. Promotes and enhances the well-being of people who are deafblind. Provides accurate, timely information about Marfan Syndrome to affected patients, their families, and health care personnel; supports and fosters research. Promotes the mental health of all Islanders and supports the resilience and recovery of those experiencing mental illness. Committed to research and vision health to enhance independence for people with vision loss, and to providing public education. Assists persons with spinal cord injuries and other physical disabilities to achieve independence, self-reliance, and full community participation. Core services offered are Peer Support Team, Mobility Equipment Program, Raising Funds and Giving Grants, and Community Advocacy. Promotes spinal cord injury prevention and raises funds for those already affected through cycling events. Responsible for pharmacy and dental programs, child and family services, social programs (including the PEI Disability Support Program), and seniors’ issues. A national organization controlled by and comprised of women who self-identify as "Women with disAbilities." Employers, property owners, and others that offer accommodations or services to the public must accommodate persons with disabilities (physical and intellectual disability, including addiction), up to the point of undue hardship. Leads in eliminating heart disease and stroke and reducing their impact through the advancement of research and its application, and the promotion of healthy living. Seeks to bring care, compassion, comfort,s and hope for a peaceful and pain-free death to individuals and families. The "International Collaboration On Repair Discoveries" (ICORD) is an interdisciplinary research centre working to facilitate the discovery and implementation of relevant solutions to improve functional recovery, mobility, community integration, and quality of life for people with spinal cord injury. This unique initiative brings together spinal cord injury researchers from the sciences, medicine, surgery, rehabilitation, engineering, education, and community- based humanities research. 3rd Floor - 818 West 10th Ave.
Advances the interests of people with learning disabilities. Sponsored by the "Aboriginal Women's Association." Organizes to address the urgent needs of off-reserve aboriginal children and their families. Supports the independence and full participation of Canadians with neuromuscular disorders; funds research to find a cure and improve quality of life. 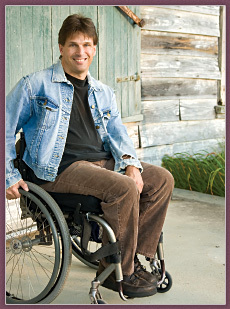 Multiple Sclerosis Drug Program provides income-based assistance for the purchase of medications. Seniors Drug Cost Assistance Plan provides financial assistance for the purchase of approved medications to persons age 65 and over who are eligible for PEI Medicare. An arms-length from government advisory agency made up of nine members of Council who are appointed by government to work for equality and to support women's full and active participation in social, legal, cultural, economic, and political spheres of life. Strengthens the capacities of communities to include and support people with an intellectual disability and their families in all aspects of community. Works to raise awareness in society of the abilities of individuals with cerebral palsy. Makes special equipment loans, provides assistance, advocates, and encourages persons with cerebral palsy to pursue meaningful goals and achievements in life. Assists a competent volunteer citizen (advocate) to speak and act with, and on behalf of, one person (protégé) to help them meet their needs and secure their rights. Promotes the full participation and inclusion of persons with disabilities in Prince Edward Island society. Programs Include Community Access, Designated Parking Program, Summer Tutoring, Around the Block Theatre Program, and Snoezelen Room. There are also two programs related to Employment. "Employment Counseling Services" assists job seekers through development of job search and employment skills, career assessments, and access to training and educational opportunities. They assist employers by referring qualified individuals, performing work site assessments, setting up placements, and referring to wage subsidy. The "Work Abilities Employment Readiness Program" helps develop essential skills through career exploration, clarifying career goals, and creating a career plan. COD has three locations. Committed to assisting Islanders to promote, improve, and participate in their lung health through education, advocacy, and research. Acts as a voice for Island seniors and advocates for a better quality of life on their behalf. A significant, organized resource with many links to websites offering a range of services for those with a disability. Provides access to information, programs, and services for persons with disabilities, their families, their caregivers, service providers, and all Canadians. Works to inspire others to share in the achievement of big dreams that accelerate improvements in the quality of life of people with spinal cord injury. As a social innovator, the Foundation has two primary goals: to create accessible and inclusive communities for people with spinal cord injury (SCI), and to champion research for a cure for spinal cord injury. A collaboration of people with spinal cord injuries, researchers, and service providers committed to addressing priority needs and generating solutions for people with SCI. Fully funded by the Rick Hansen Foundation. Parent support group meets alternately in Charlottetown Beach Grove Nursing Home and Summerside Wedgewood Manor. Has a scholarship fund and program, and achievement prizes. Provides life-long living and learning opportunities for young people with "Autism Spectrum" disorders. Offers services to amputees through its Child Amputee Program (CHAMP), Adult Prosthetics Program, and Service Bureau for war veteran amputees. CHAMP also offers, among other programs, a Matching Mothers Program, Junior Counseling Program, and safety programs PLAYSAFE and DRIVESAFE. Works to strengthen and support the efforts of PEI women to improve the status of women in our society.